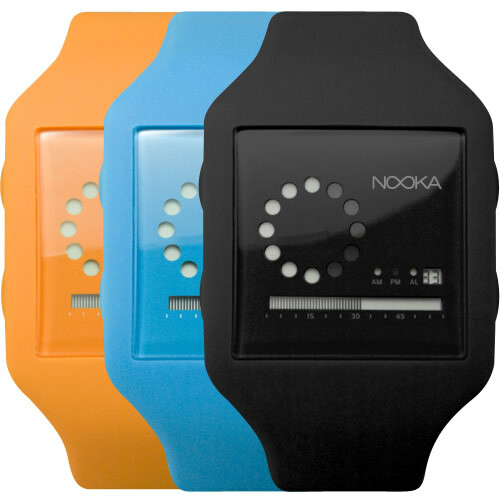 Nooka re-issues its ‘Zub Zirc’ watches, which were originally only available in stainless steel. Now we see them in many colorful alternatives like tangerine and aqua-blue. This change adds a fresh and youthful element reminiscent of exotic fruits and tropical vacations. Combine this with the AM/FM radio function and you have both practical and stylish reasons for your newfound punctuality.